AutoControl for APPolo is a radical advancement for infrastructure control and automation. Most facilities use automation yet generally do not have the ability to automate static terminal equipment. 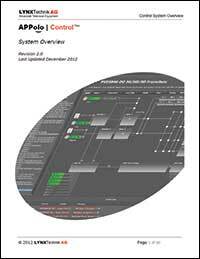 For a more detailed technical overview of the control system in terms of hardware, software, configuration, implementation and architecture, click on the image below to open the control system overview white paper PDF.